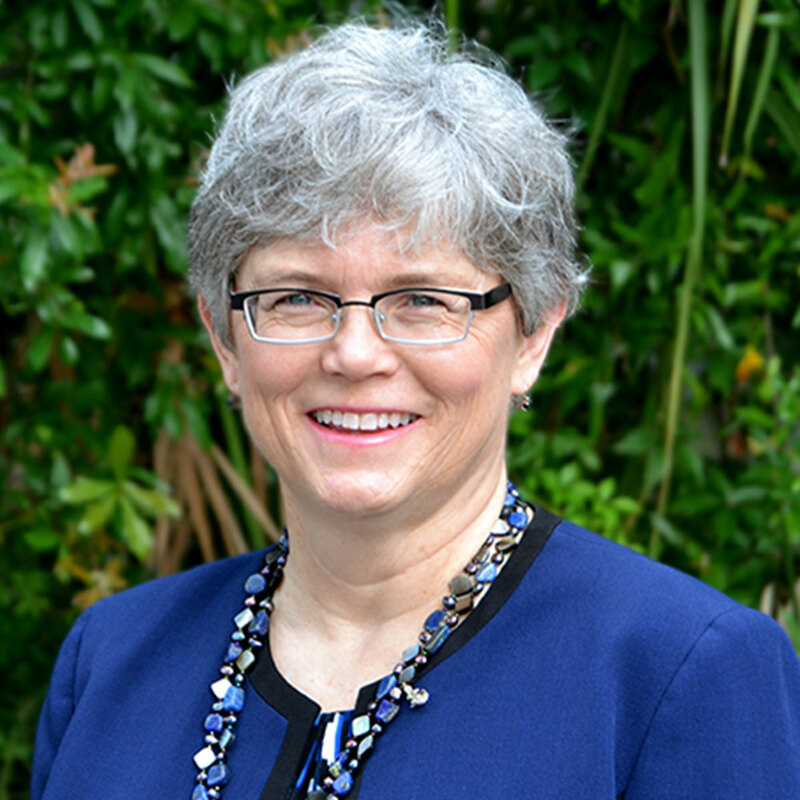 As an undergrad studying philosophy and classics, Kathy McKee, a talent consultant for UF Human Resources (UFHR), first began to see the connections between many disparate subjects and issues. This was also when she came to understand and appreciate the importance of universities to the lives of individuals and to the world. After college, McKee, who is from Atlanta, attended law school at Vanderbilt and the University of Georgia and later worked on a state project advising indigent inmates on appeals. The experience was profound, she said, and it also led her to change her mind about a career in law. Deeply interested in people and information, McKee turned to human resources and joined the Georgia Department of Labor as a classification analyst, which she described as “a job to think about jobs.” She shadowed people on the job, wrote position descriptions, studied the Dictionary of Occupational Titles, compared hundreds of positions around the state and came to understand the importance of work in people’s lives. UF at Work recently interviewed McKee about her own work as manager of UFHR’s Strategic Talent Group and how the group is helping UF pursue prominence nationally and internationally. What brought you to Gainesville and UF? I came to UF in January 2015 as a dual-career candidate. My spouse, Haven Hawley, and I had lived in Minneapolis and worked at the University of Minnesota. Haven was hired by UF to become the chair of the Special and Area Studies Collections Department in the George A. Smathers Libraries. I started as a classification analyst with UFHR. The OnTarget project was ramping up at the time and I had the great fortune to work with the Classification & Compensation team on that project. The assignment provided me with a good introduction to UF’s organizational structure and the opportunity to get to know many staff and faculty across campus and around the state. I started my current role as a talent consultant with UFHR in January 2017. Can you tell us about your current work in the Strategic Talent Group? UF is a force for good in the world because of particular people fulfilling particular roles. I see my job as understanding those roles and helping hiring departments find people who have the right combination of skills, education, experience and interest to make a substantive contribution. In some ways, it is like matchmaking—facilitating connections or relationships. It also involves storytelling and translation. Why was the Strategic Talent Group formed? The Strategic Talent Group is a new internal consulting unit within UFHR that assists departments in recruiting and hiring for executive and hard-to-fill positions, as well as advising on special hiring initiatives. We function as an internal search firm. We had a “soft launch” of the group early last year and began providing search consulting for a couple of assistant vice president searches. The idea has been percolating for a few years in UFHR. Melissa Curry, director of Recruitment and Staffing, and John Sun, assistant director, started discussing ways to move UF toward a more strategic model for talent acquisition. UF Advancement had already begun developing these capabilities in order to source and hire outstanding development and alumni relations professionals. And a few universities (such as University of Georgia, University of Virginia, Emory and Vanderbilt) had launched executive search groups as an alternative to using expensive external firms. Last year, several variables aligned that made the timing right to put this new model in action. UFHR Vice President Jodi Gentry’s vision of preeminence through people—being agile, forward-thinking and bold—made bringing the strongest talent to UF and improving the overall experience of candidates, new hires and hiring authorities a top priority for the UFHR team. At the University of Minnesota, I had some success filling technical positions at a university-wide research center through sourcing of passive candidates (i.e., people not actively looking for jobs). I also developed talent pipelines for recruitment of interdisciplinary faculty. I was eager to try these techniques out here. Melissa had begun working with University Relations on recruitment communications to improve our messaging. Then UF moved to hire 500 new faculty, and that changed the landscape for us even more. We were excited to be tasked with sourcing candidates and facilitating the search processes for two Cabinet-level positions, Chief Diversity Officer and Senior Advisor to the President and Vice President for Government and Community Relations. UF made two great hires for these leadership roles, and we were delighted to support the search committees and President Fuchs in their efforts to find the right people and bring them to UF. Why is it important for UF to be sourcing its faculty and staff strategically? What does it mean for us in terms of our pursuit of higher rankings and more prominent recognition nationally and internationally? The traditional approach, sometimes referred to as “post-and-pray,” simply doesn’t make sense for many position openings anymore. Our departments have very specific needs and they often don’t have the luxury of training up or developing people for these roles slowly over time. The resources involved in hiring for a single position can be substantial and we want each hire to be successful. Conversely, people who have the knowledge and skills that we need have a lot of options in terms of potential employers. When we source faculty and staff strategically, we take an active approach to sharing our story and identifying what makes UF a great place to work and to accomplish amazing things. We also look beyond our usual outlets and begin engaging people who might not have sought us out or imagined themselves in Gainesville. For example, the Strategic Talent Group attended the Institute on Teaching and Mentoring in Atlanta last September. The institute is the largest gathering of underrepresented minority PhD scholars in the country, and 2018 will mark its 25th year of providing workshops, networking and recruitment opportunities to new and aspiring scholars. It seems obvious that UF should attend an event like this. While UF had been represented as a graduate school option previously, this was our first time in attendance as an employer. Through venues such as the institute, we can develop leads for current and future openings, learn about the interests and expectations of highly qualified candidates, and gain national exposure for UF as a talent brand. We can only continue doing great things when we have great people. And those people need to know what UF can and does offer. What are some of the attributes of UF that you think make us an attractive employer? How do we differentiate ourselves from our peers? I think that people want to do interesting and challenging work, want to feel that they are making a difference in the world, and want to feel valued and respected by their colleagues, leaders and organization. Solving the problem of citrus greening, collecting and preserving endangered Jewish materials from Latin America and the Caribbean, educating and mentoring the next generation of citizens—we don’t lack in interesting and challenging work here. I think we differentiate ourselves in how we do that work, in the teaching, research and office environments that we create that support and encourage people to be their best selves. Whether someone is hired at UF or not, we want that person to see UF as an important and valuable institution. What are some of the most exciting aspects of your job? I really enjoy the mix of working with information and people. Sometimes I feel like a detective, other times I feel like a promoter or an event manager, or a mediator or an accountant. Every day I learn something new about the university, the world or myself. I have the honor and privilege of meeting and getting to know incredible people who inspire and amaze me. Outside of work, what are your favorite things to do? Theatre is my great love outside of work. Several years ago, some friends and I founded a non-profit theatre in Atlanta and I also worked for the Alliance Theatre during the 1996 Cultural Olympiad. I continue to nurture this interest by writing plays and attending as many productions as possible. Can you share some best practices for recruiting or working together to maximize a candidate pool? Treat each person with respect and kindness. I think this is the most important practice in recruiting. With online application technologies, our applicant pools can become very large and hard to manage. Those names on our screens belong to real people with real hopes and dreams, just like us.